The MXCS is a high performance, low power and highly integrated Rugged Embedded Server, built in a special designed MIL IP67 housing. This allows to operate the MXCS in any environment as no fan or air vents are implemented. The design allows to use the required MIL-38999 connectors for the projects. 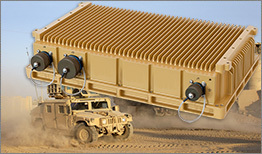 Therefore, the MXCS solution can be used for any server application, where a flexible rugged solution is needed. The MXCS housings offer space for up to 2 x 2.5" SSD and comes with internal expansion options over PCI/104-Express and mini PCI Express interfaces. 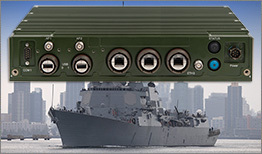 The rugged server is available in a sealed IP67 MIL housing and is designed to meet various standards like MIL-STD-810G, MIL-STD-704F, MIL-STD-1275D, CE, EN50155 or IEC 60945. 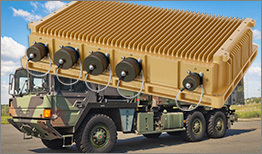 The MIL version of the MXCS has been specifically designed to withstand harsh environments and extreme temperature conditions. The ruggedized design, combined with the best industrial-grade components, offer high reliability and long-term performance. The MXCS is available for different industries and is the perfect embedded server solution for industrial environments, railway applications, MIL/COTS applications, or whenever a rugged long-term available computer is needed.